This qualification consists of two units and is provided over a period of 2 days with a minimum contact time of 6 hours per unit. Our Paediatric courses meet the latest 2019 learning outcomes laid down by the Awarding Organisations. The Statutory Framework for the Early Years Foundation Stage is a document published by The Department for Children, Schools and Families and applies to Early Years childcare within England, Wales and Northern Ireland. The Statutory Framework states that ‘at least one person who has a current paediatric first aid certificate must be on the premises at all times when children are present. 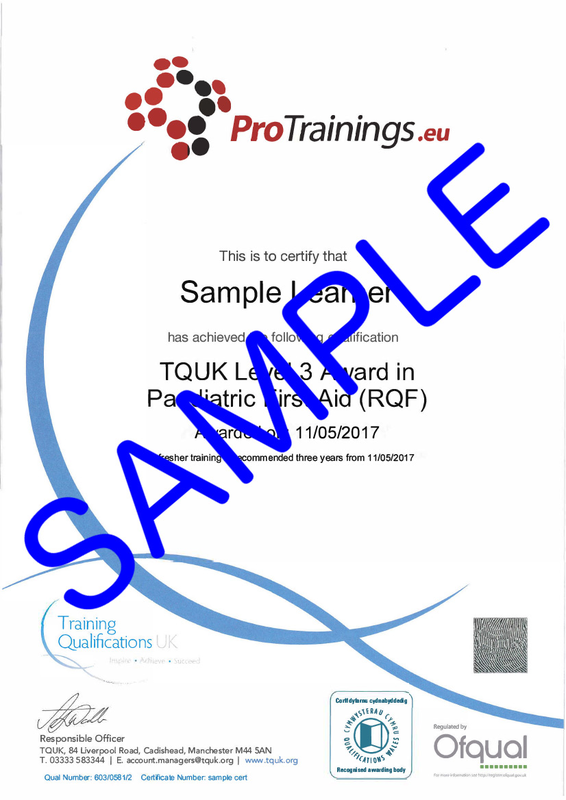 There must be at least one person on outings who has a current paediatric first aid certificate.’ The TQUK Level 3 Award in Paediatric First Aid (RQF) is recognised as a qualification that fulfils this need. This course comes with 22.0 hours of CPD, although the time to complete the course online may be less than this.